This app supports for iPhone, iPad and iPod touch devices. 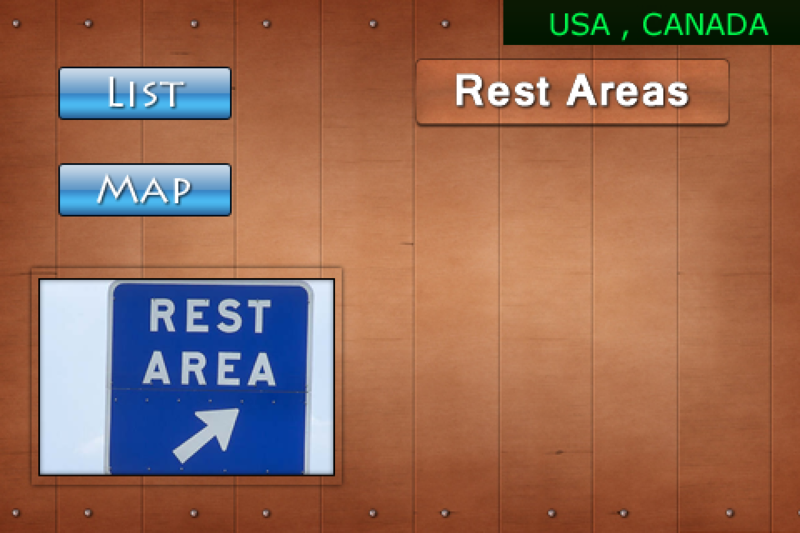 USA & Canada Rest areas - This app gives you all USA & Canada Rest areas information with one and all details. Get fast access to search results, plus one-click access to maps and dialing of location phone numbers. 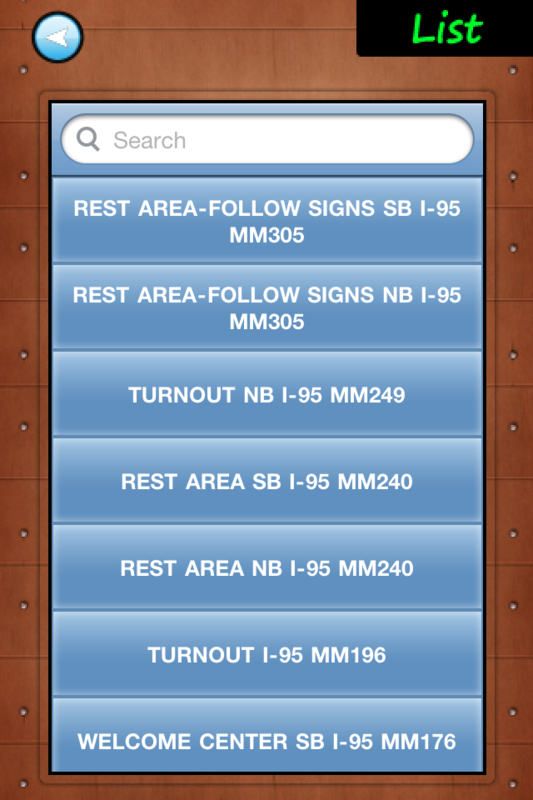 Show directions and route map from device location to Rest area location. Able to find nearest Rest areas and complete address with phone numbers. GPS facility enabled in this application. 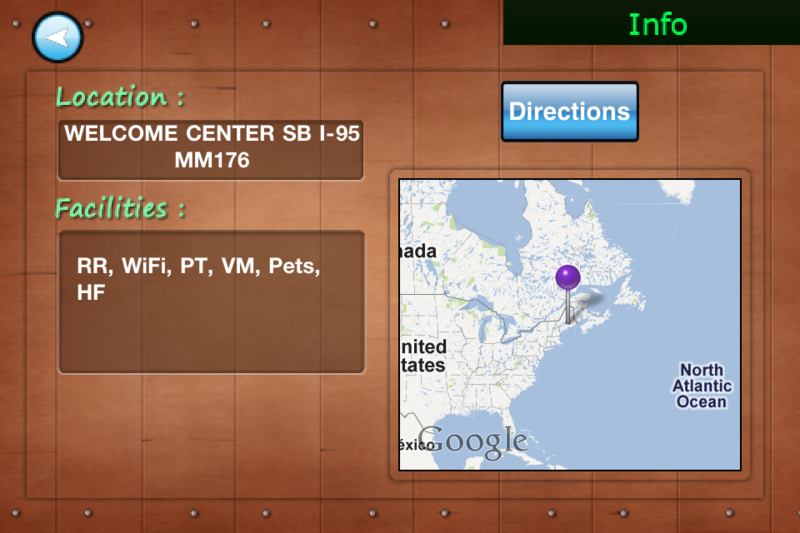 Locates all the Rest areas on the map and shows path and directions to Rest areas.